Kotoko holds off on giving Kin-chan an answer, seeking her girlfriends’ advice. She’s only ever seen him as a good friend, but Satomi thinks he’s a better fit for her than Naoki who’s been stringing her along only to get engaged to another girl. Besides, she always feels happy when she’s with Kin-chan and Jinko says it’s better to have a man that loves you more than you love him. But Naoki’s still the only guy filling her thoughts and Kotoko wonders what Naoki would think if he knew about Kin-chan’s proposal. Now that Chairman Oizumi’s invested in the company and he’s officially engaged, Naoki decides to push the wedding back a year. He wants Irie-papa to get his surgery first before going through with the wedding. He goes through the same roundabout questioning about the wedding with his parents when he comes home. Dad has found a house and tells Kotoko that when she gets married he’ll build a two family house for her. Kotoko asks, hypothetically of course, if he would be happy if she married Kin-chan. Dad admits that Kin-chan is a good guy and that he would be happy since it meant he could pass on his restaurant, but she shouldn’t choose who she marries based on what he wants. Kotoko goes on another date with Kin-chan. Unfortunately, it’s the same place she had her first date with Naoki and she can’t help but think about him. To make things worse, Naoki and Sahoko are also there and naturally Kotoko’s upset that Naoki brought Sahoko here like their first date didn’t mean anything. 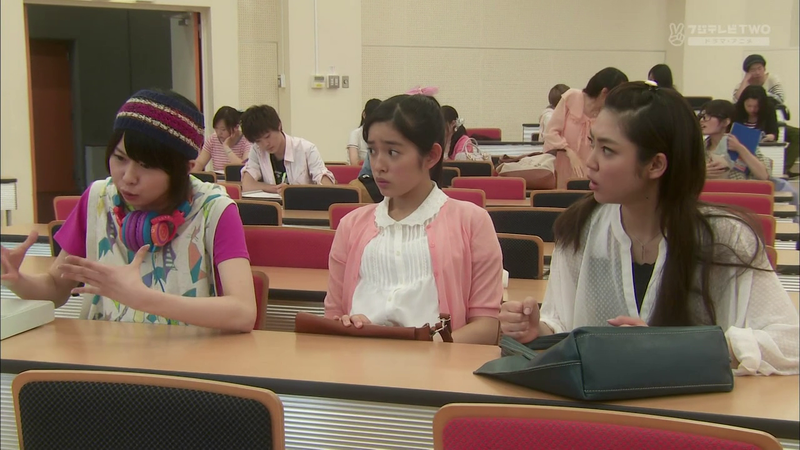 Oblivious to the mood, Sahoko invites Kotoko and Kin-chan to the art exhibition they’re going to. Kotoko and Kin-chan think Sahoko’s talking about actual bacon instead of the artist Francis Bacon and Naoki remarks that they need to do something more on their level. Kotoko and Kin-chan are smart enough to know he’s insulting them, but instead of fighting, they decide to leave. Not willing to let Kotoko get the last word, he calls out that they suit each other, but Kotoko doesn’t give him the satsifaction of looking upset. She smiles and thanks him, as Naoki silently simmers in rage, his eyes following them until they’re out of sight. Sahoko’s surprised by Naoki’s behavior and says that it’s not like him. He goes back to being a gentleman and assures her that he would never treat her the way he treats Kotoko, but that doesn’t make her feel any better. She says that even though he’s so smart, he doesn’t even realize his own feelings. She goes home, leaving Naoki alone. 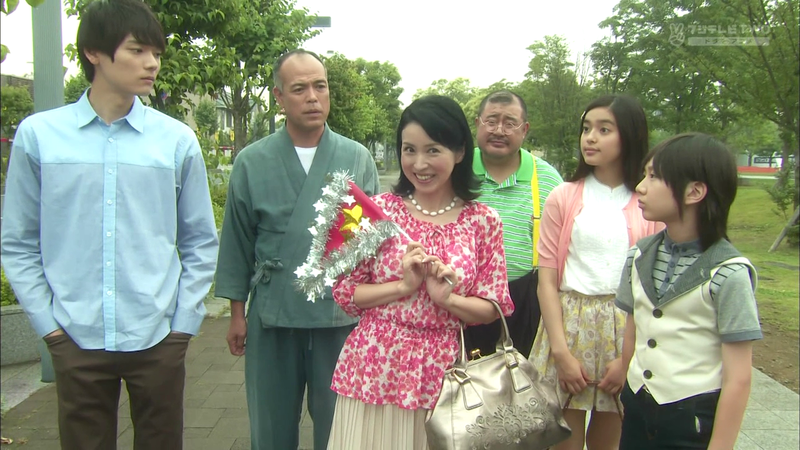 I don’t know if Irie-mama’s drunk or just being herself, but she’s still trying to make Naoki give up on the marriage by sharing how Kotoko is always out with Kin-chan and that she and her dad are moving out. 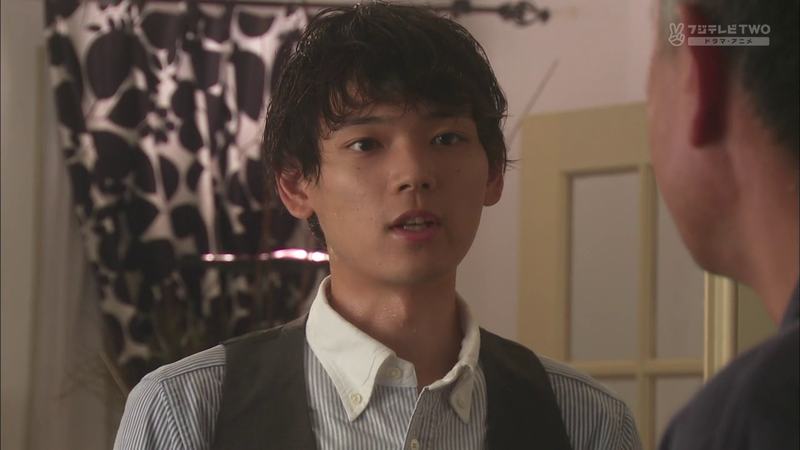 Naoki appears indifferent, but he stares at Kotoko’s door for a while before going in his own room. Sure enough, he’s back to checking the tennis courts for Kotoko, but Sudo tells him that it’s been a while since Kotoko came to tennis practice. He does run into Yuko though, who he hasn’t seen since he rejected her. She asks if he’s quitting school and it looks like he doesn’t have another choice at this point. She doesn’t like Sahoko since she can’t criticize anything about her and he says that’s like her. She tells him to stay cool and attractive even after getting married. Satomi and Jinko spot Naoki and though he pretends to not care where Kotoko is or who she’s with, he can’t hide his surprise when Jinko mentions Kin-chan’s proposal. Jinko takes advantage of the situation by adding that Kotoko’s supposed to give her answer today. It’s fun to watch them taunt Naoki, who is barely processing the information, and they can’t help but cackle after leaving for finally putting him in his place. The restaurant’s closed today, so Kin-chan is giving Kotoko a lesson in Japanese cooking. She tastes the dishes for the menu he’s planning and Kin-chan gets caught up in imagining running his restaurant with Kotoko by his side. The air becomes tense as Kin-chan asks if she can give him an answer now. Kotoko avoids looking at him before asking if she can have more time, but he’s tired of waiting. He’s only loved her for so long, but she’s still in love with a man that doesn’t even look at her. Kin-chan says he’ll make her forget, grabbing her shoulders and advancing upon her. Noooo, Kin-chan, what are you doing? Kotoko screams for help and Naoki’s name slips out. That only confirms Kin-chan’s fears and he releases her. She apologizes before running away while Kin-chan cries alone. Kotoko walks home in the rain, beating herself up for leading Kin-chan on. She can’t believe that even after suffering so much and giving up, she’s still in love with Naoki. “I don’t know what to do anymore,” she says in despair while crouching on the ground. Just then, Naoki appears with an umbrella, saying he’s come to pick her up. As they walk home, he asks if she was with Kin-chan and mentions the proposal. He asks what her answer was, but she only answers that it’s none of his business and he doesn’t push it. Kotoko tells him she’s moving out and will marry Kin-chan. He asks if she loves him, but she dodges the question saying that Kin-chan’s loved her for a long time. So does she love someone just because they say they love her? 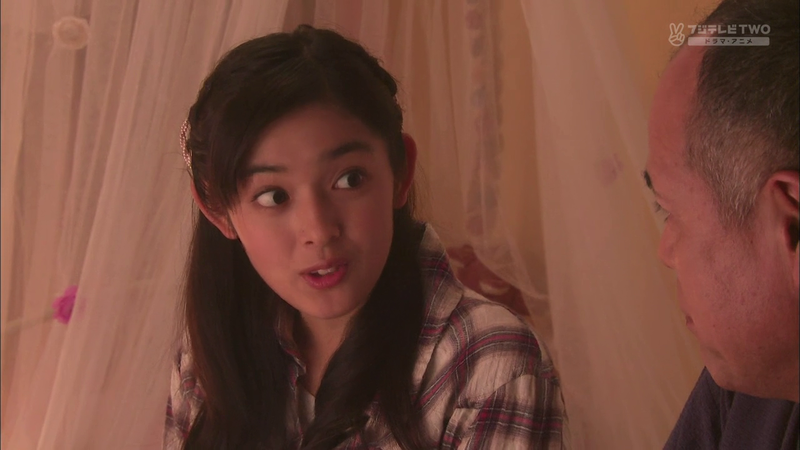 Kotoko fires back that she’s tired of being stuck in a one-sided love. Woooooooooooooooooooo! Excuse me as I run laps around my house. Okay, I’m good. Naoki tells her to never say she loves another man and Kotoko, in a daze, says it’s the second kiss. He corrects her, but tells her that she doesn’t have to count anymore before kissing her again. They hug as the rain falls around them. Everyone’s surprised when they come in, absolutely soaked, but Naoki doesn’t even explain as he asks Dad for permission to marry Kotoko. Everyone’s mouth drop (lol, at Yuki’s face) and Dad checks to make sure Naoki’s in his right mind. “You know she can’t do anything right? You know she’s clumsy right?” Naoki accepts all of that and Dad tears up when Naoki acknowledges that Kotoko is a cheerful and loveable girl and that he wants to spend his life with her. Irie-mama’s beside herself with glee, but Naoki still has to face his father. 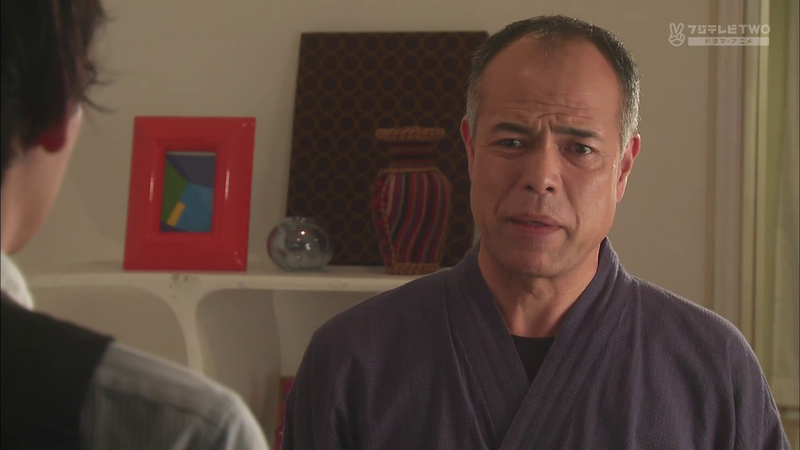 Irie-papa appears stern and says he has two conditions for Naoki to marry Kotoko. First, he has to resign from the company and second, he has to return to school and become a doctor. Oh, I guess Irie-papa has connections too; he says he’s known about Naoki’s dream for a long time. He says he’ll take responsibility for his company so Naoki should focus on pursuing his goals. Kotoko asks what will happen to the company and Yuki says he’ll take over when he grows up, so Naoki doesn’t need to worry anymore. Kotoko’s on cloud nine with Naoki being all touchy-feely all of a sudden, but she’s scared that he’ll go back to being his usual self when she wakes up tomorrow. He asks if she wants to sleep with him then. Kotoko’s embarrassed and says that’s not what she meant. Darn, where was this cute three episodes ago? And Kotoko, why are you refusing? After all you’ve been through you should take advantage of any chance Naoki is giving you. Naoki: “I know…more than enough.” Ha, typical Naoki answer. She says she didn’t know he loved her too and he says she won him over, hugging her. “I love you.” Only took you sixteen episodes to admit it. The sweet moment is ruined by Irie-mama’s camera peeking through the door. So that’s how she got all those pictures. She looks at the photo and wonders when is the earliest good-luck Sunday for marriage. Cut to the whole family taking a walk on a Sunday, unaware of where Irie-mama is taking them. 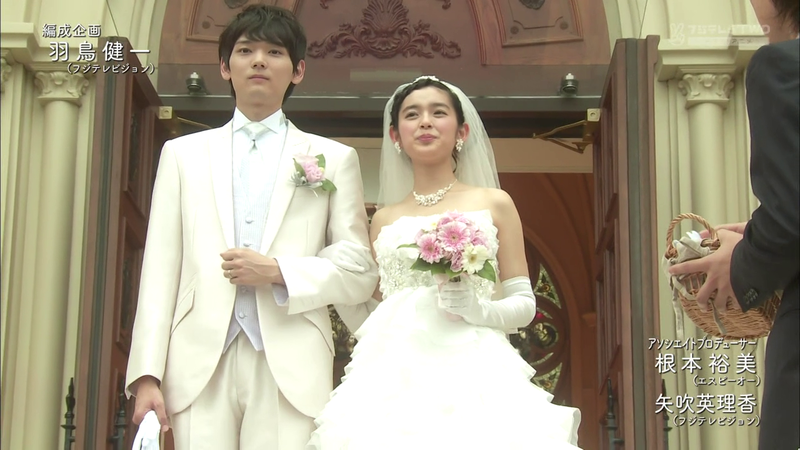 It’s only when they arrive at the church that she announces that they’re attending Kotoko and Naoki’s wedding. She’s already invited everyone, so there’s no time to protest, they’re getting married, whether they like it or not. Yuki goes to see Kotoko while she’s getting ready and shares a secret with her as a wedding gift. Kin-chan meets Naoki and tells him to take good care of Kotoko. He knows what will happen if he doesn’t and warns Naoki to keep his guard up since he’ll always be waiting. They shake hands, only for Kin-chan to turn around in horror because he shook Naoki’s hand. 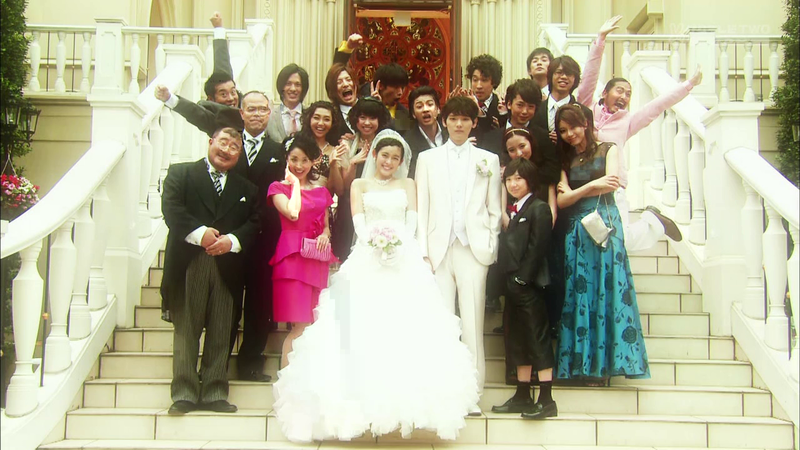 Naoki’s grumpy about the impromptu wedding, but he brightens up when Kotoko enters the wedding hall. As they walk down the aisle, he says that he’s still mad that everything was already decided, but he’ll let it go since she looks beautiful. Cheesy, cute, and a little unsatisfying. I know I said that I can live with just Kotoko and Naoki getting married and riding off into the sunset, because I doubted this drama was ever going to go past the wedding, and while there was plenty of cute to go around, I felt kind of cheated because it was so rushed. At least let me savor the cute a little. All the good stuff got crammed into the last twenty minutes and I have a few nitpicks about Sahoko and Kin-chan, but this is an ending I can live with…if we get a special. Or two specials. Who am I kidding, I need another season! It’s not like this will be like typical j-dramas that get a second season where the same storyline is rehashed; there’s still more to tell! I want Kotoko to find her path in life, I want to see Naoki become a doctor, and I want to see Kotoko and Naoki adjust to being married. I want to see Kin-chan get his girl! I don’t know if cable dramas usually get second seasons, but I can hope right? I would’ve liked seeing Sahoko accept that Naoki wasn’t the guy for her. Yes, it’s shown that Sahoko realizes Naoki’s feelings, but she just disappears after that because she no longer serves any purpose. This was a marriage of convenience for Naoki, but it wasn’t for Sahoko. There wasn’t any closure to her story; after all the time we spent on this marriage, she at least deserved an apology from Naoki for leading her on. I was throwing my hands in the air when Kin-chan decided to be pushy all of a sudden, just because it was so out of character for him. I know that it’s consistent with the manga and I get that his emotions were running high since Kotoko was finally giving him the time of day and a person’s patience can only be pushed so far, but it felt very off to me. 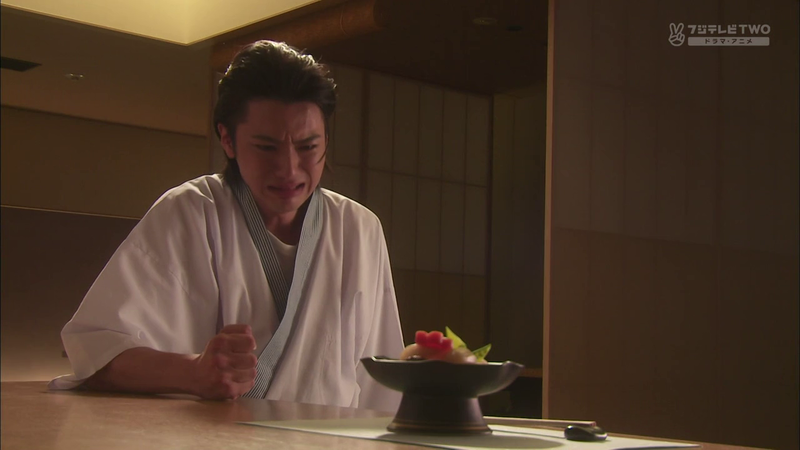 Maybe I’m biased and just wanted Kin-chan to remain Perfect Sympathetic Second Lead until the end, but I wish that scene had been done a different way. This show was definitely frustrating at times and to be honest, it probably could’ve been done in twelve episodes instead of sixteen since there were episodes where absolutely nothing happened. If we do get a second season, hopefully we can just get Director Koto because I really didn’t care for the episodes done by the other directors. As cute as Miki Honoka is and as much as I loved her crazy faces, the over-the-top acting could have been toned down a bit. 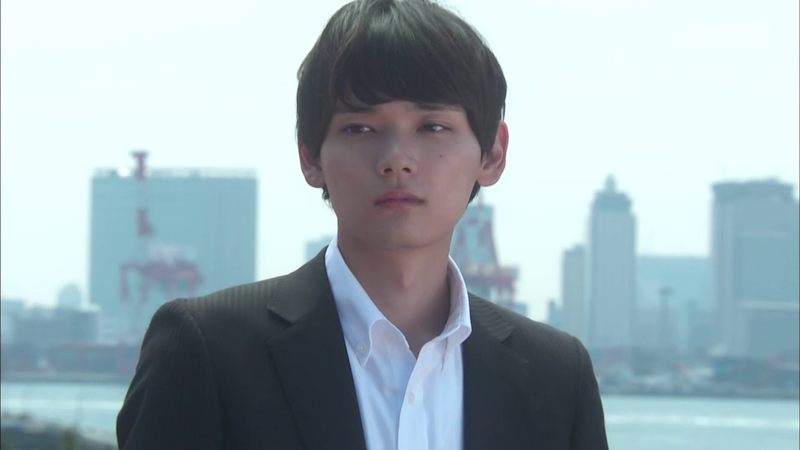 I wasn’t initially impressed with Furukawa Yuki, but there was a great subtleness to his acting that really brought Naoki to life, such as the small side glances he would do whenever Naoki was nervous or he wasn’t being entirely truthful. These two didn’t have explosive chemistry (which would have been weird considering the age gap), but they did click in a sweet, fluffy way and that was enough for me. Overall, this was a refreshing adaptation, for me at least. My problem with Itazura na Kiss has always been buying into the romance and this was the first adaptation where I understood why Kotoko and Naoki had to be together. As early as episode three, we can see how these two bring out the best in each other and help the other to grow, though Kotoko’s development eventually had to take a backseat to make room for Naoki’s. But more than that, it didn’t feel like a hopeless, one-sided love on Kotoko’s part. For once, I could see Naoki falling for her and learning to depend on her. While I’m still slightly irked by the imbalance in their relationship (at the end of the day, Naoki was still in charge and Kotoko’s just following), the gap between them didn’t feel as vast and though I can’t say Kotoko grew a backbone, at least she didn’t let Naoki walk over her all the time. It wasn’t perfect, but I’m definitely going to miss this show and the cast. Hopefully the production hears the international fan outcry and gives us more. What do you think about Itazura Na Kiss Love in Tokyo officially getting a second season?? And I loved reading these, thank you so much!!! I’m so excited about the second season, I can’t wait! I’m a little worried about all the behind the scenes drama going on with the original production team not being attached, but I think FujiTV will be able to deliver a season just as good if not better than the first. Yeah, Love in Tokyo was really the drama that made me fall in love with this story. I’m happy that you enjoyed my recaps! I also can’t wait for the second season though I think it will be at least another year before it airs. I might have to re-watch it again to hold me over. Hi, I also like the show because I was in Tokyo in June and I recognized a lot of places. Especially when they have the first date on the bay looking to the rainbow bridge. I was in the same exact place!!! Oh, that’s so cool! I definitely wanted to go to some of the places in Love in Tokyo, you’re lucky! i love this i watched teh aniem before and then i got curiouse about the movie so i watched it but in my country its nto avaible yet so does anybody know were i can watch it or wen the episode 16 from season 2 come out? Episode 16 doesn’t air until Mar 23, next Monday. As for where you can watch it, gooddrama.net and dramago both have it if you can’t watch it at Viki, Crunchyroll, or DramaFever. Love this love story so much! 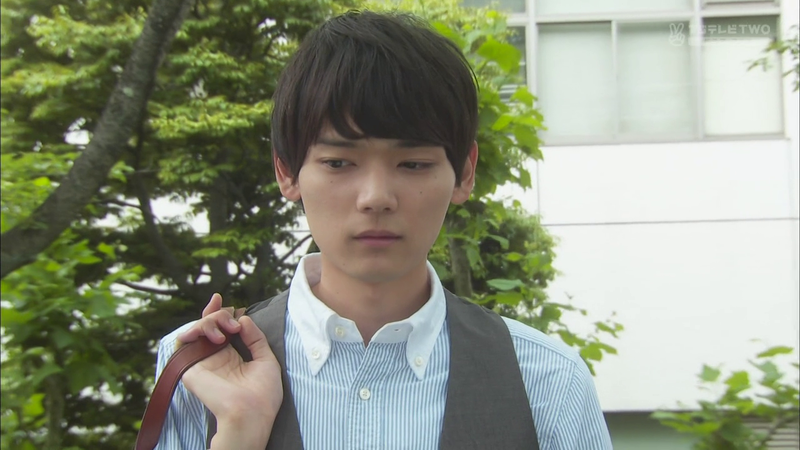 I was re-watching some episodes of Itazura na Kiss yesterday and I came upon your recaps. And, even though I am so late for this party, I have to say that I really enjoyed reading your them. Good work! I imagine you are just as excited for the upcoming second season as I am. I was totally hoping for a second season cause there’s obviously a lot more story to tell. I just hope it’ll be as cute and light as the first season. And maybe you’re planning to recap the second season as well…? Recaps are sort of up in the air at the moment just because I have no idea what I’ll be doing when it airs, but hopefully I’ll be able to make some time. Yeah, the second season will be unknown waters for me too since the only one version I watched was the Korean version and that didn’t get too deep into the after-wedding story so I’m excited to see what will happen. You forgot something! but its okay, but… it iss when Naoki cried while raining to hide his tears. Yeah I did, I don’t think I understood that scene when I watched it the first time lol, so I skipped it. Thanks for the heads-up! Love ur recap, it gave the flow of the story. Thanks for ur hard working.